Tye Henry | People | HKUST Department of Physics "; myhtml += "
Before joining HKUST as the Director of IAS and Chair Professor of Physics in 2011, Prof Henry Tye was the Horace White Professor of Physics at Cornell University. He is currently IAS Professor and Chair Professor of Physics. Prof Tye’s research interest is in theoretical particle physics and cosmology. He studies the structure of matter at the sub-atomic level and the fundamental forces in nature. In cosmology, he studies the origin of our universe as well as the properties of today’s universe. He applies superstring theory to link the smallest to the biggest. With the advance of modern science and technology, a number of predictions he made in cosmology may be tested via observation in the near future. 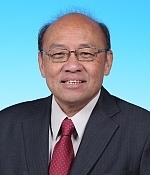 Prof Tye was born in Shanghai and raised in Hong Kong. He graduated from California Institute of Technology in 1970 and received his PhD from the Massachusetts Institute of Technology in 1974. He did research at Stanford Linear Accelerator Center, Stanford University and Fermi National Accelerator Laboratory before moving to Cornell in 1978. He is a Fellow of the American Physical Society. S.-H. H. Tye and S. S. C. Wong, “Linking Light Scalar Modes with A Small Positive Cosmological Constant in String Theory,” Journal of High Energy Physics 1706, 094 (2017) [arXiv:1611.05786 [hep-th]]. S.-H. H. Tye and S. S. C. Wong, “Bloch Wave Function for the Periodic Sphaleron Potential and Unsuppressed Baryon and Lepton Number Violating Processes,” Phys. Rev. D 92, 4, 045005 (2015) [arXiv:1505.03690 [hep-th]]. S.-H. H. Tye and D. Wohns, “Resonant Tunneling in Superfluid Helium-3,” Phys. Rev. B 84, 184518 (2011) [arXiv:1106.3075 [cond-mat.other]]. S. Sarangi and S.-H. H. Tye, “Cosmic String Production towards the End of Brane Inflation,” Physics Letters B 536, 185 (2002) [arXiv:hep-th/0204074]. G. R. Dvali and S.-H. H. Tye, “Brane Inflation,” Physics Letters B 450, 72 (1999) [arXiv:hep-ph/9812483]. H. Kawai, D. C. Lewellen and S.-H. H. Tye, “A Relation Between Tree Amplitudes of Closed and Open Strings,” Nucl. Phys. B 269, 1 (1986). W. Buchmuller and S.-H. H. Tye, “Quarkonia and Quantum Chromodynamics,” Phys. Rev. D24, 132 (1981).